STORY: In the year 20XX, an asteroid that later would be called "The Messiah" landed in Peru, South America. Energy issued by the impact was even larger than the Tunguska event, which resulted in a couple of days with "White Nights" after the event. Luckily, the surrounding areas were almost all jungle and there were few casualties. This incident became known the "Primer Impacto". After the incident, United Nations sent a group of professionals to inspect the area, since during those times the radiation caused biological mutations. The discovery led to the neighboring area being sealed and placed in quarantine. The Peruvian Government increased security in nearby areas, and equally throughout the country, in addition, monitoring any activity that may occur at the site of impact. 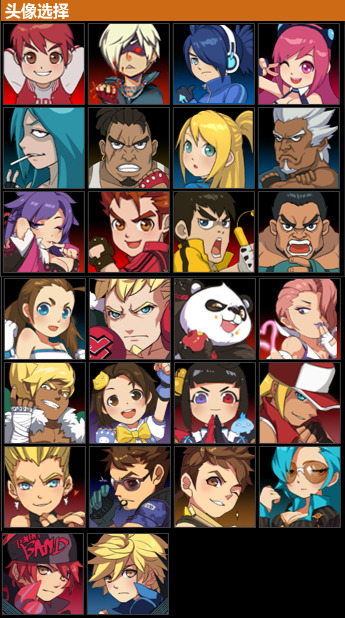 The character selection screen as of August 2013. 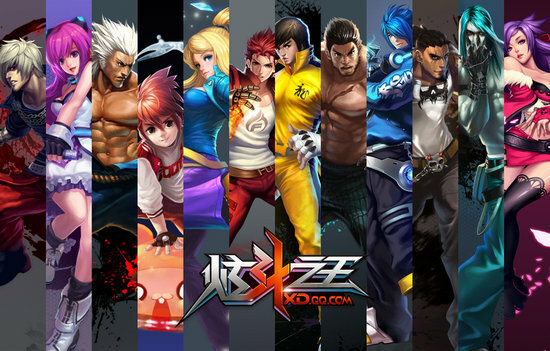 ABOUT: Xuan Dou Zhi Wang (which translates to King of Combat) is a free-to-play Chinese fighting game produced by Tencent Games. 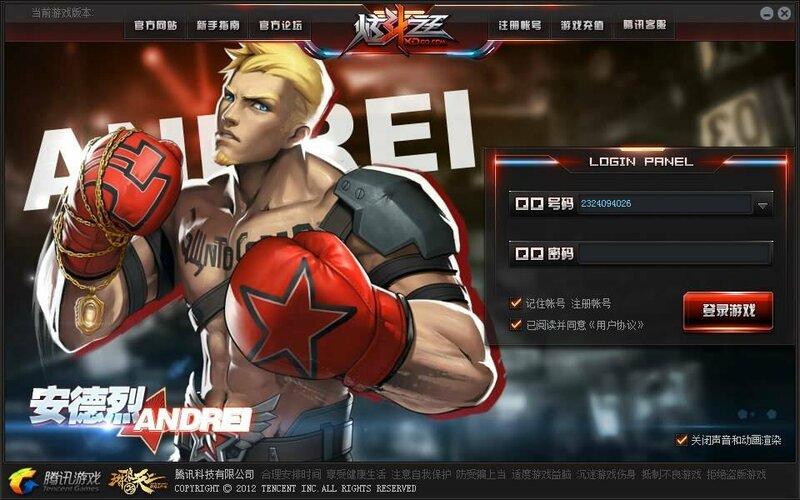 The game is in a closed beta phase, currently exclusive to Chinese servers. 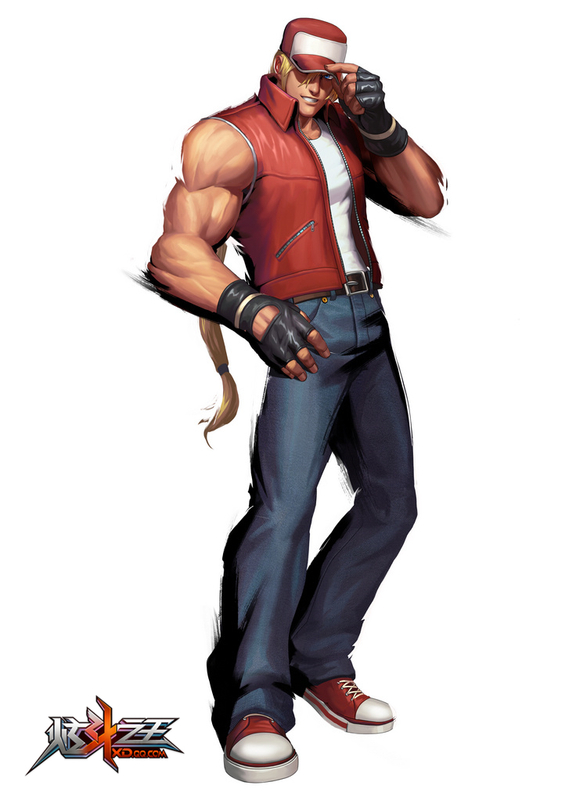 After SNK announced the playable appearances of Terry Bogard and Benimaru Nikaido back in April 2013, interest in the title quickly spread. 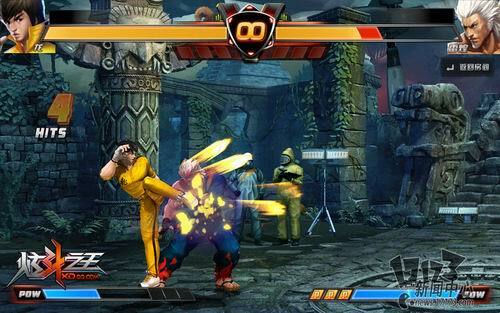 Early on, the game was swiftly dubbed a "King of Fighters knock-off" due to the familiar character designs and gameplay. However, there is actually a legitimate reason for this: In China, video game consoles are technically banned ever since the year 2000. However, it's not uncommon to see systems make their way into China through Hong Kong and Taiwan... but even so, the Chinese have to develop alternative products to meet the needs of its market. 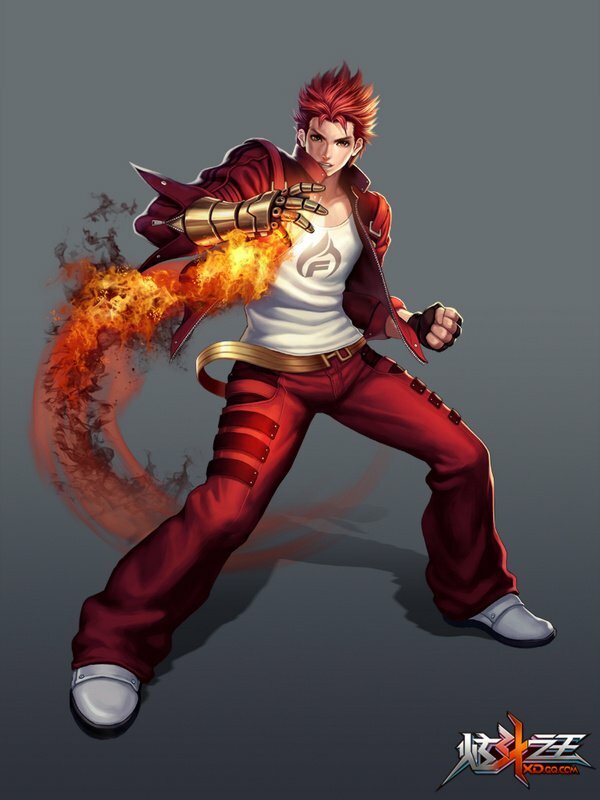 The development of Xuan Dou Zhi Wang in a way reflects the wishes of Chinese gamers to play something at least "similar" to King of Fighters at home. 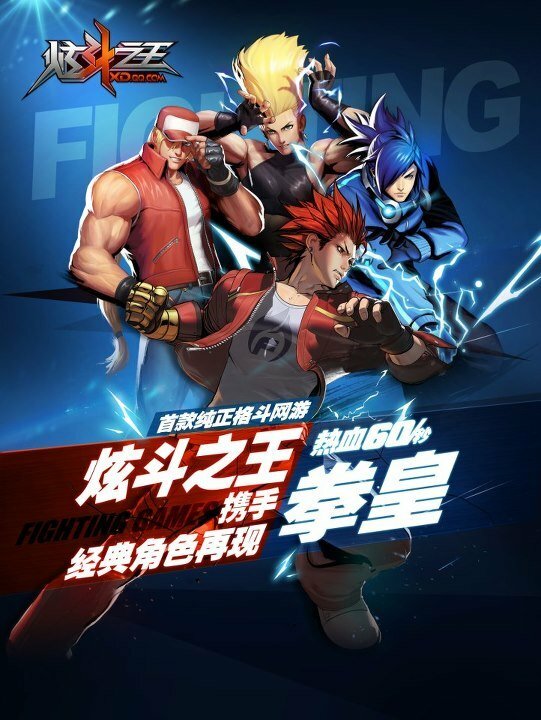 Another interesting fact: Tencent was a developer for the canceled KOF online project (The King of Fighters World) from a few years back. 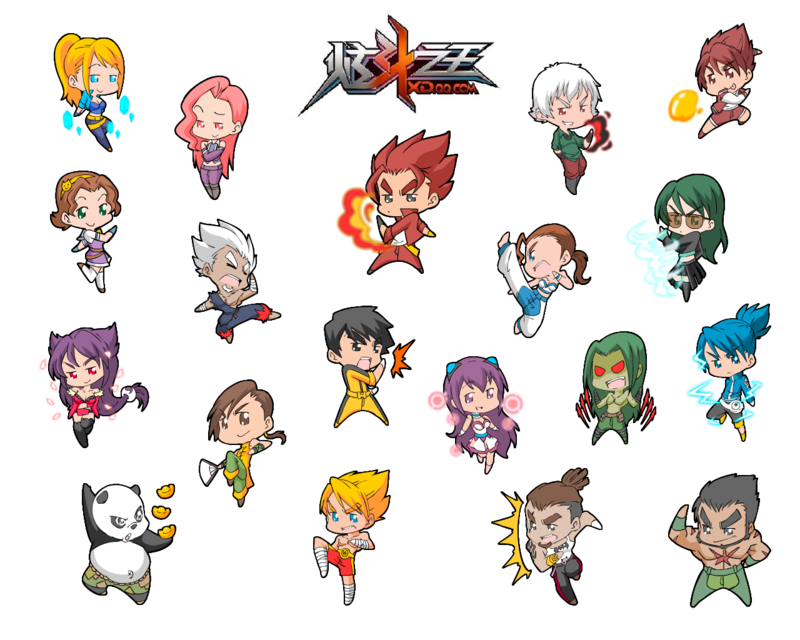 King of Fighters inspired, yes... but XDZW has a very unique visual style of its own. 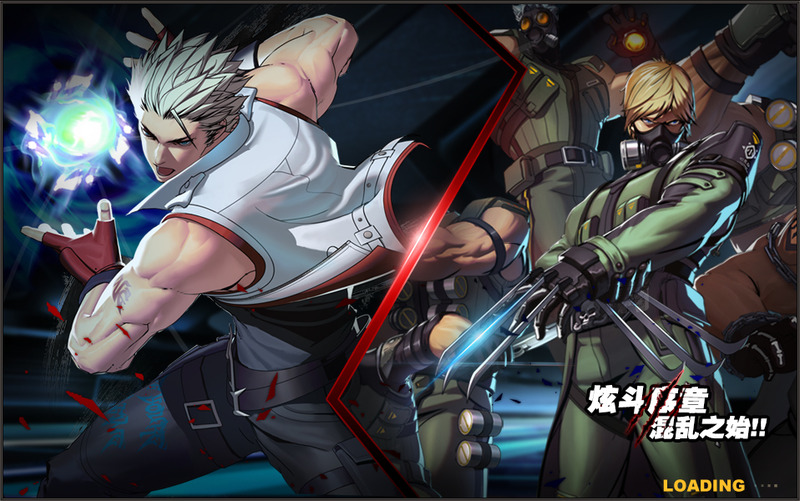 So it's interesting that Tencent is now working with SNK Playmore in this "strategic alliance". 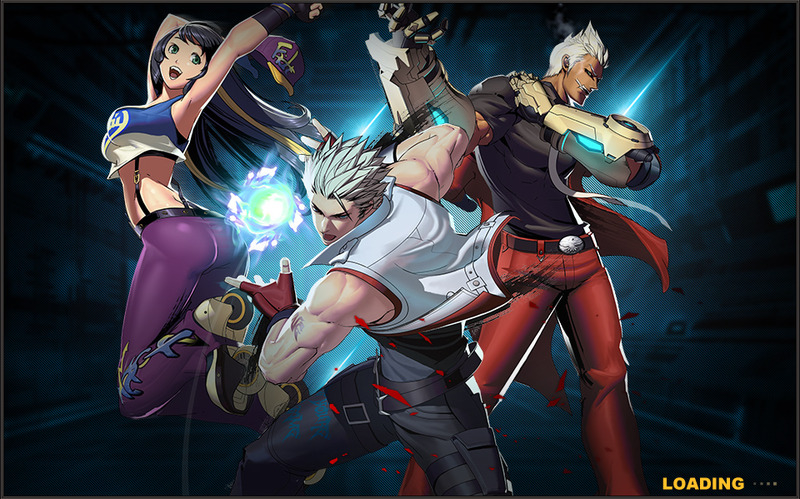 Now with the exposure from SNK, the chance of an official widespread launch of the game is more possible than before. On April 18th, Tencent announced that in the second quarter of 2013 they will release the game for the Windows 8 platform, meaning tablets and phones running Windows 8 will be compatible with the game. 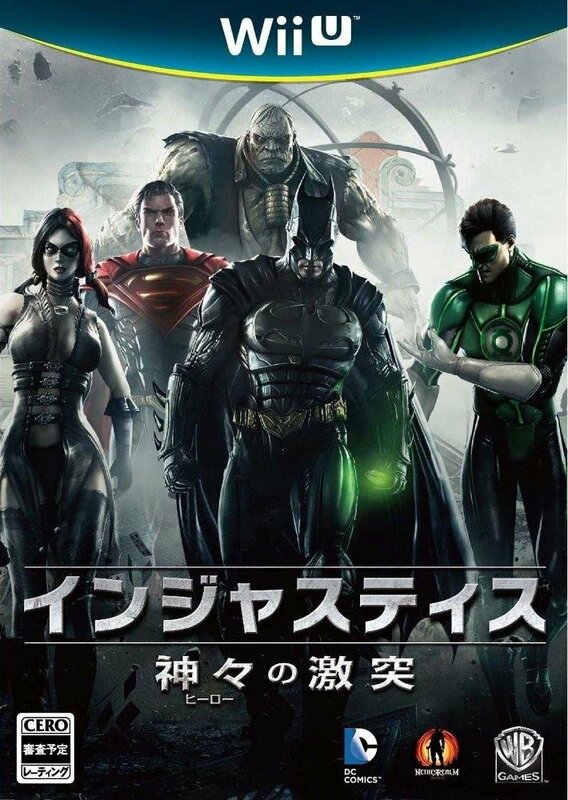 However, an actual "physical" version of the game has yet to be announced. 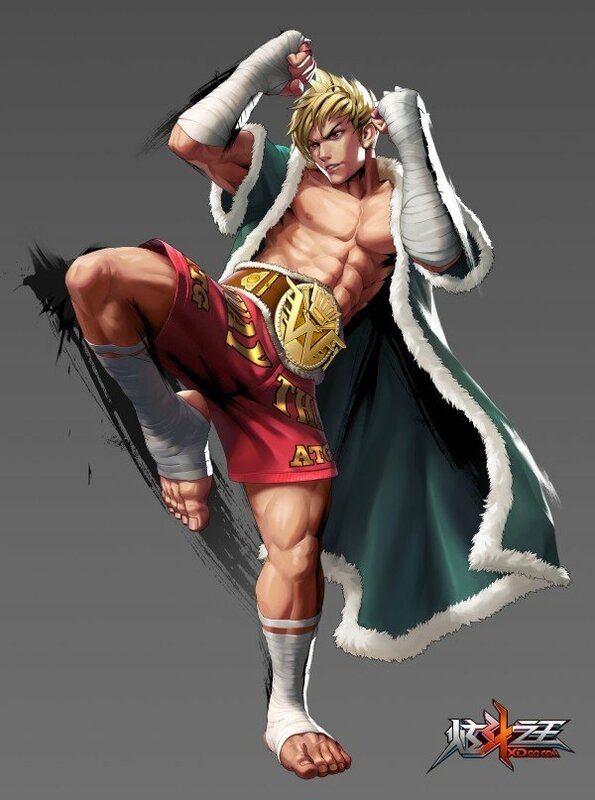 As a 2D fighter, Xuan Dou Zhi Wang quickly distinguishes itself in a variety of ways. The high resolution 2D sprites were originally created with polygons and later retouched by hand to give them a more "2D style" appearance. In motion, it's definitely a very unique-looking fighter. 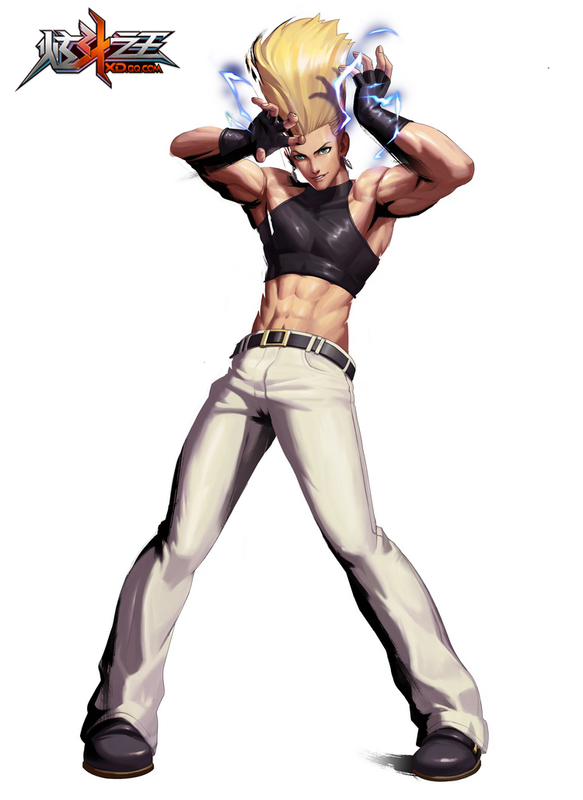 The style of animation resembles KOF XIII in some ways, but is also very fluid and stands out on its own. If you ask me, XDZW's characters have the coolest and most "stylized" walking animations I've seen in a really long time. 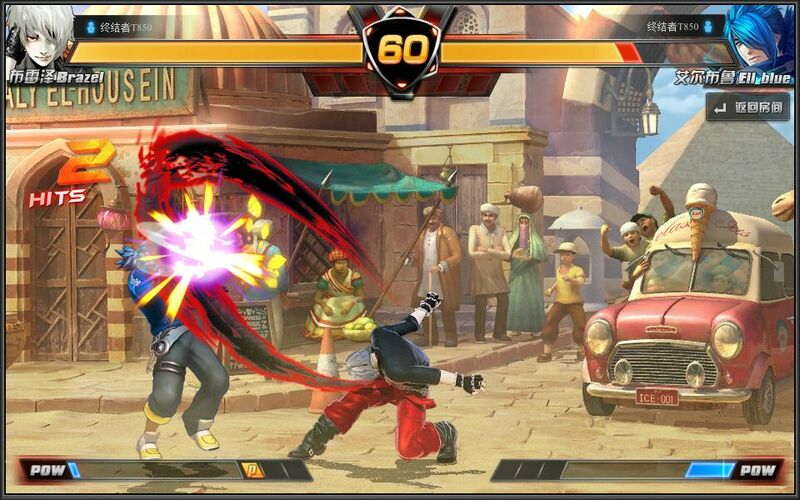 No doubt, XDZW's animation is top notch; I'd even go as far as to say XDZW's animation is more aesthetically pleasing than most "mainstream" 2D fighting games of this generation. Put that in your pipe and smoke it, Capcom! (This coming from a fan since the late 80's). 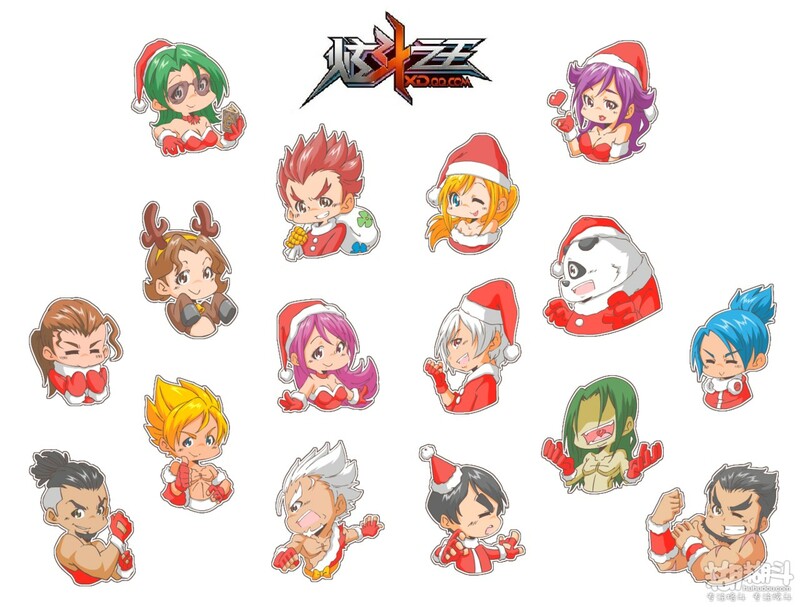 Several characters also have alternate costumes (unlockable through points in the game), which is very rare for a 2D fighting game of this nature, and certainly a treat. 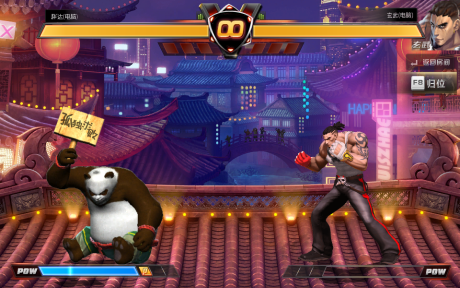 A Kung Fu Panda knock-off is also in the game. 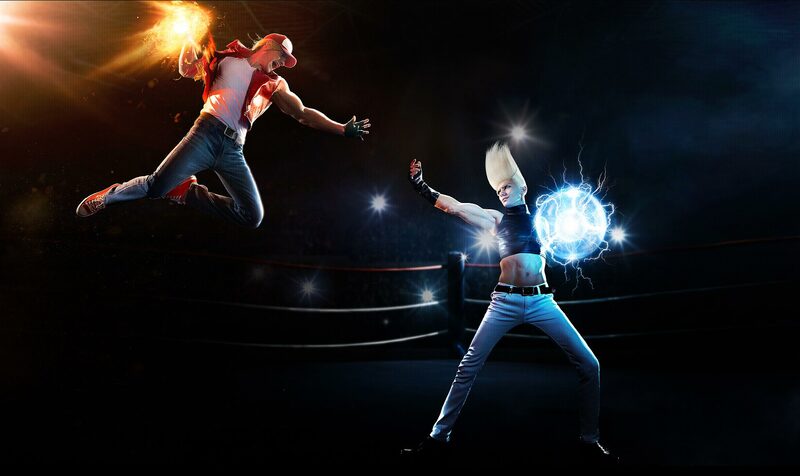 As you might've expected, the gameplay is eerily similar to King of Fighters. Along with traditional 1-on-1 matches, 3-on-3 team matches are also possible. There are four buttons: Punch, Kick, Weak Attack, and Strong Attack. 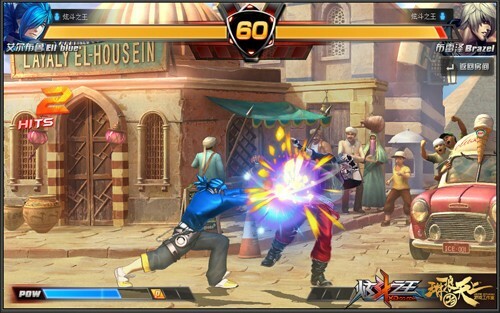 Many gameplay trademarks of KOF also make the jump to Xuan Dou Zhi Wang, including: Rolling & dodging, short jumps & high jumps, the classic "MAX" super meter, double super moves (SDMs), and the ability to cancel supers. 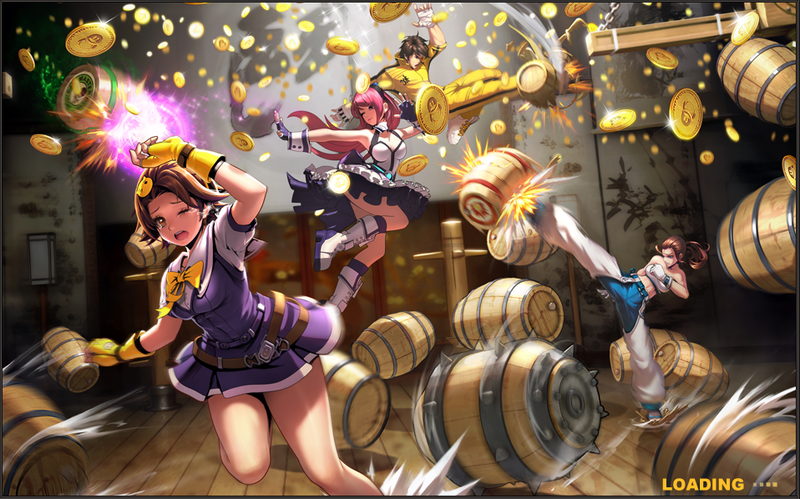 Needless to say, if you're a KOF player, you'll feel right at home (in some weird way). 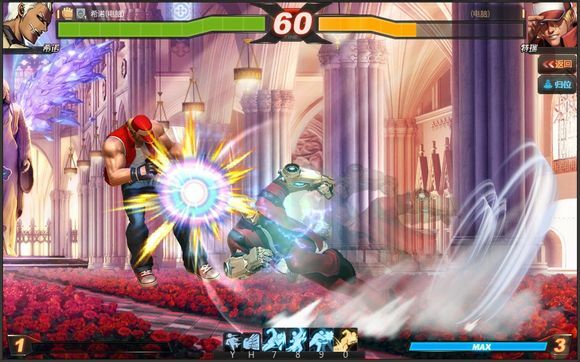 One of the few ways where XDZW differs from KOF is that grabs are performed by hitting 2 buttons (similar to the Street Fighter Alpha series). 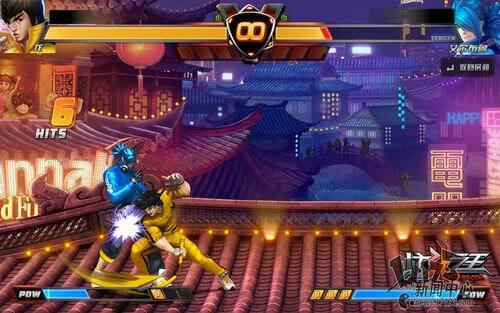 There are also some Custom Combo possibilities (comparable to KOF 2002 and KOF XIII). 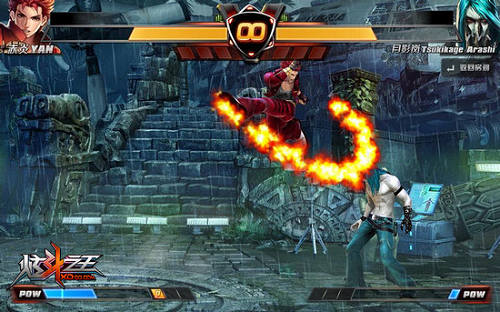 On-screen, easy access hot keys are also available, which are basically 1-button special moves - or special abilities like throwing or running. 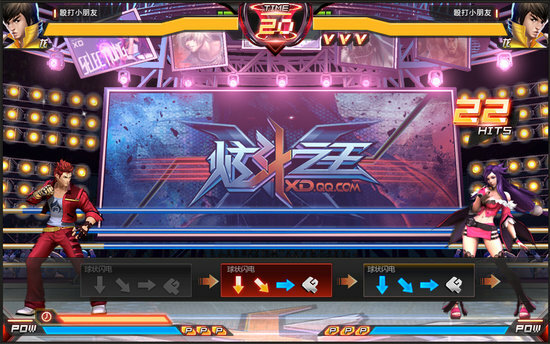 Also worth mentioning, XDZW has easy button configurations (even in Chinese), plus a handy in-game movelist. Currently, XDZW is basically a constant "work in progress". 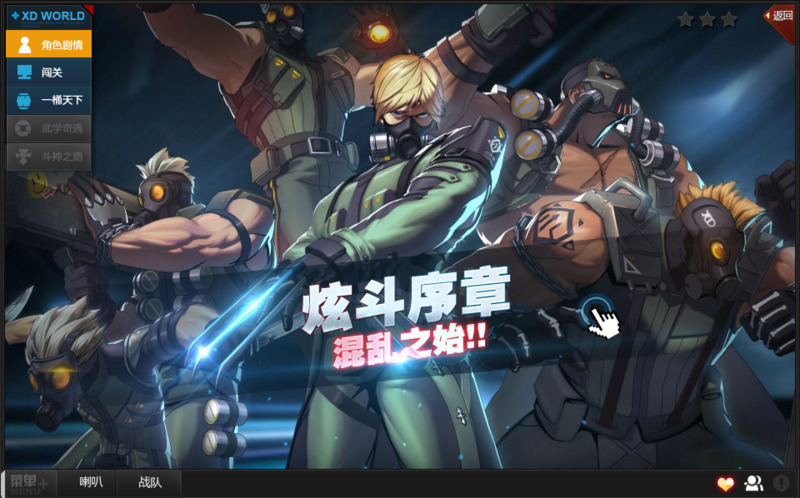 Tencent games continues to add characters to the title every so often via online updates. The main menu of the game feels very "alive," featuring moving artwork (similar to something you'd see in a motion graphic novel). 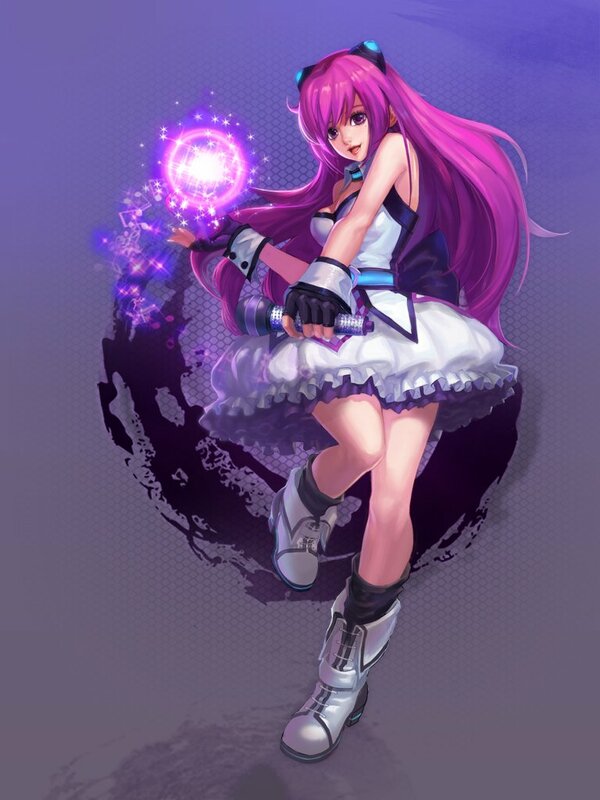 This artwork rotates when a new character is released. The main menu hosts quite a few different online & offline modes to experiment with, along with your customizable player profile which tracks your progress (and EXP points). 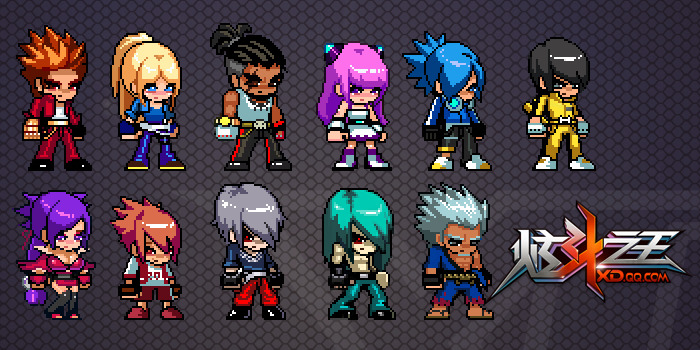 Weekly, different characters become unlocked - and on the flipside, others become locked. 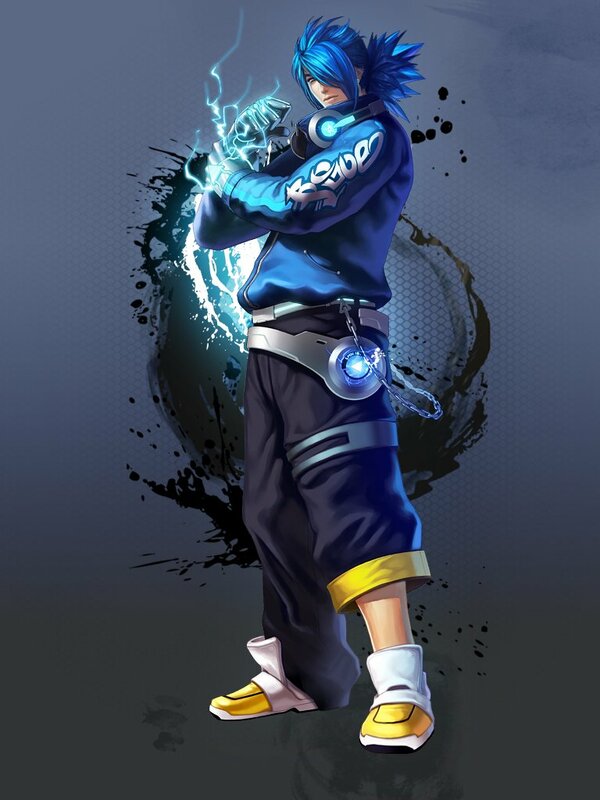 Players can permanently unlock their favorite characters by acquiring them through points (although this requires quite a lot of level grinding). Also worth mentioning: The main menu features random songs when you log-in... and I do mean "random" quite literally. These full-length songs can range from a heavy metal track, to a jazzy Kesha hit, to a Kung-Fu Fighting rap remix, to some really weird Chinese rap. Literally every time I boot up the game, I hear a new song. It keeps things interesting at least; but on the flipside, oftentimes the music doesn't quite mesh with the game very well. So far, I'm definitely enjoying Xuan Dou Zhi Wang... and I'm intrigued to see if it'll come to any sort of "finished" state, followed by a release worldwide. 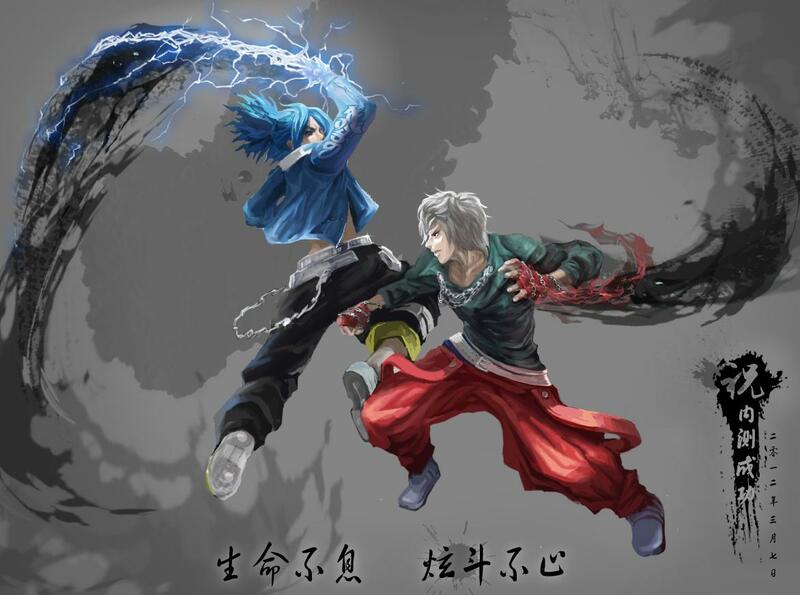 Even though the gameplay and some character designs appear to be "knock-offs" in one way or another, Xuan Dou Zhi Wang's characters do at least succeed at being interesting in more ways than one. 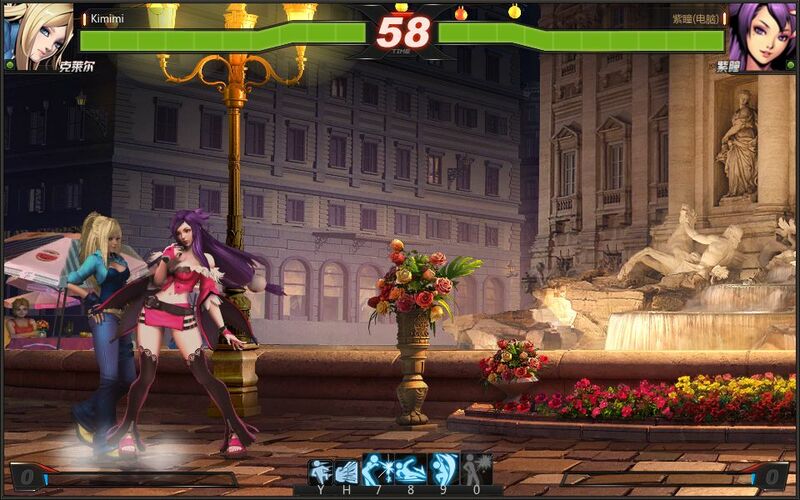 The game's cool art style and crisp 2D graphics also grabbed my attention from the start... and honestly, it's a really beautiful 2D fighter (and thanks to the cool graphics style, the character sprites actually appear more 3D than 2D). It's also pretty exciting game to be playing at the moment, especially with the monthly updates constantly keeping it fresh. I started playing Xuan Dou Zhi Wang on August 29th, 2013. Upon booting up the game on my PC, I was treated to a cool comic-style intro (and was rather impressed by the quality artwork). 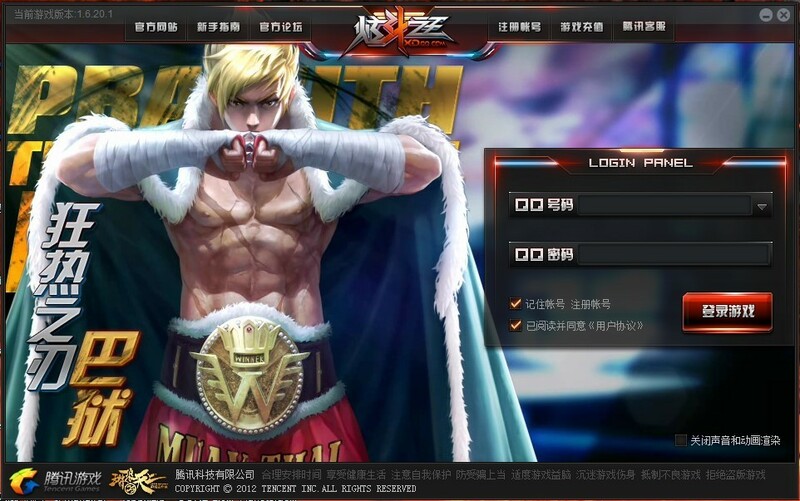 At the time I jumped in to XDZW, the game began in a Tutorial with King as the main character, whom is basically a pure Chinese bootleg of Ryu... easy enough! Perfect if you ask me, since my Hadouken and Shoryuken skills on keyboard need some brushing up! (Haven't used a keyboard to play a fighting game since my Kaillera / Online MAME days - circa 2002-2003. I need to invest in a PC controller... looking into that soon). 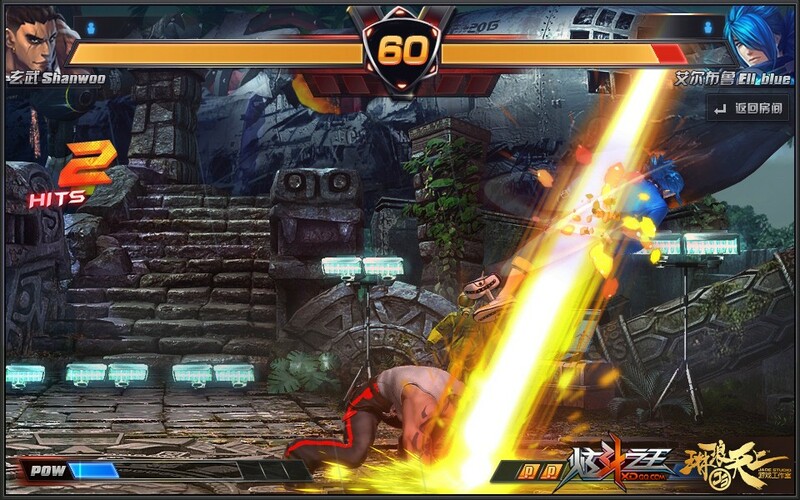 Anyhow, XDZW's beginning tutorial / "beat-em-up" style mode pleasantly surprised me in a few ways. 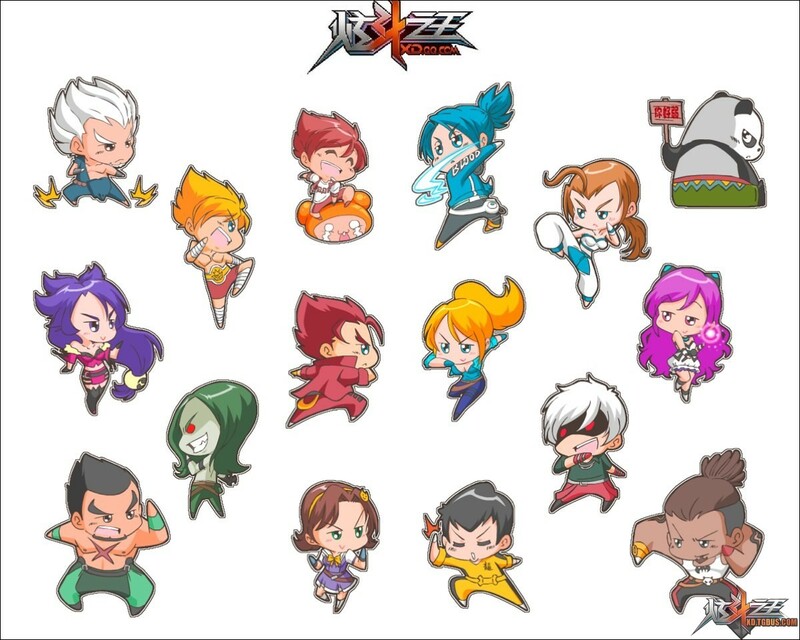 For one, XDZW's tutorial features quite a few unique characters that don't even appear on the character roster, and a ton of dialogue (that I can't read)! 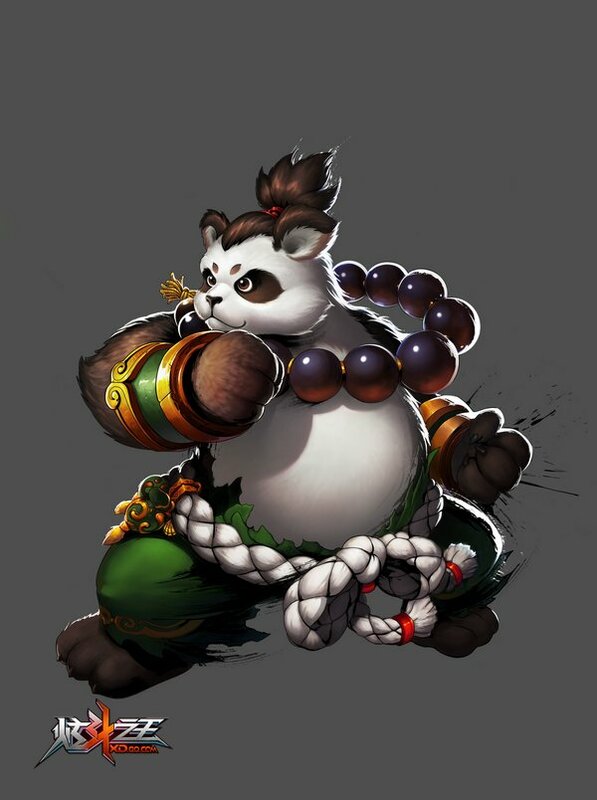 On the bright side: Even though all the text is Chinese, the gameplay basics are a walk in the park for any 2D fighting game player. 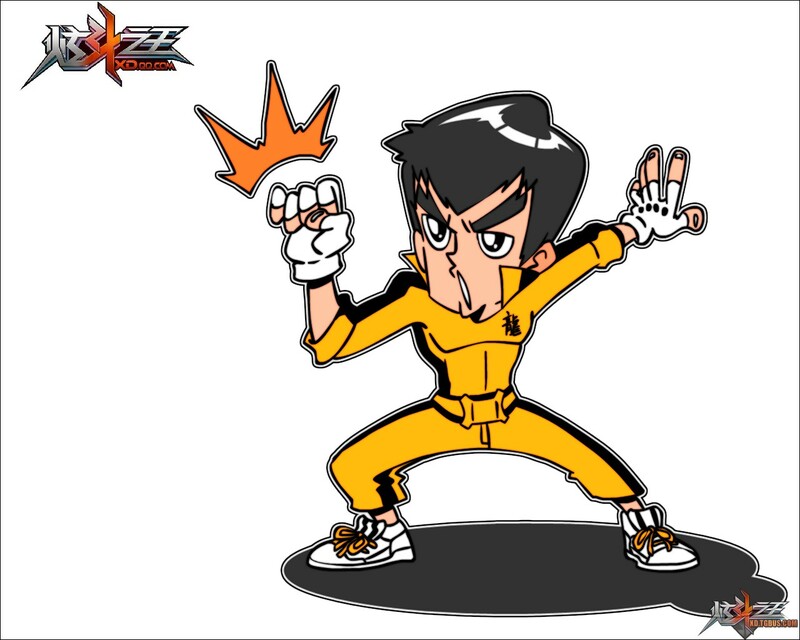 I always thought more 2D fighters should feature a halfway respectable "beat-em-up" mode as a bonus... in XDZW's case, it works very naturally as a tutorial. 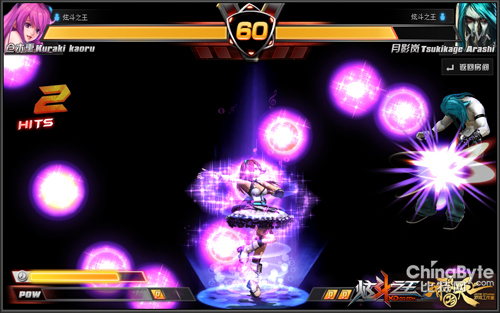 Overall, XDZW feels like a mix of KOF and Street Fighter... it's easy to play, and nice to look at, too. The 2D/3D graphics are impressively sharp and very pleasing to the eye (although the game unfortunately doesn't run in full screen on my HD monitor). Xuan Dou Zhi Wang definitely has a very distinguishable visual style, which isn't an easy thing to pull off these days, mind you. 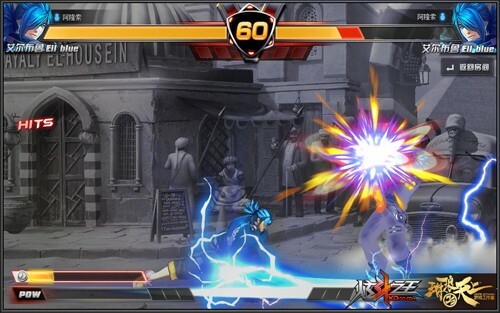 After playing for a few hours, it was clear to me that XDZW is a game made by fighting game fans... for fighting game fans. There's clearly a lot of heart packed into the game, even in its incomplete state. For example, there are a lot of small details to appreciate, such as characters screaming out their special moves in alternate "tones"... (sometimes with a lower voice, sometimes with a higher one). 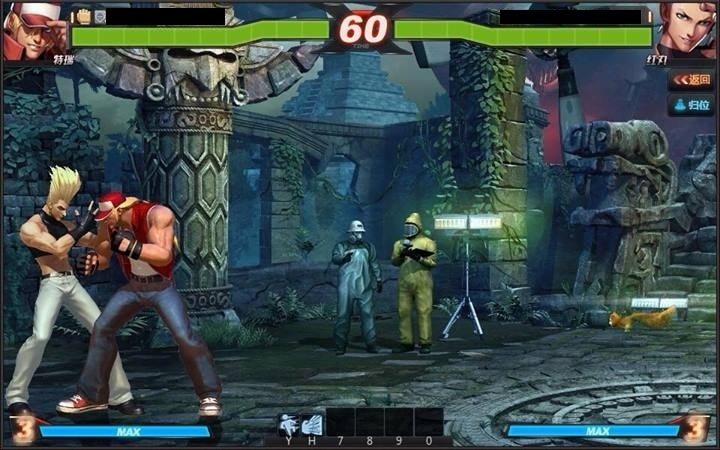 Haven't seen that effect used since the original SF2!